Paul Wade doubles as Laura’s cut man between rounds. Laura has a cut over her eye after round one of four. 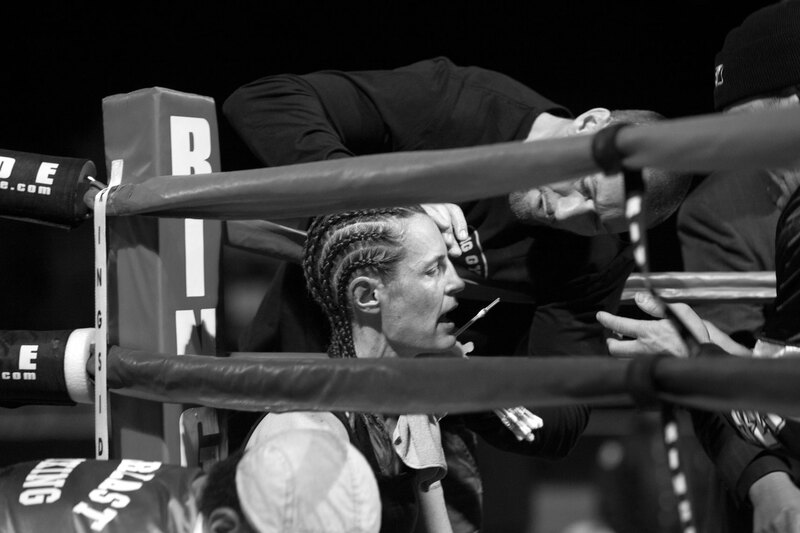 In professional boxing women’s rounds are two minutes long with a one minute break in between.